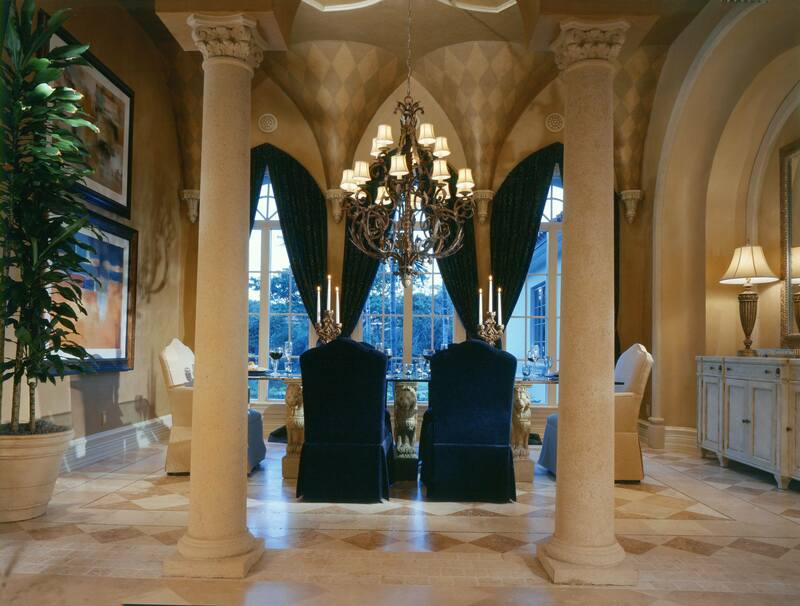 I have been designing professionally for more than 20 years, and in that time, I have become a big fan of granite, marble, travertine and other natural stones because of their unique qualities, durability, and elegance. And they are perfect for today’s environmentally conscious consumer—natural stone does not release toxins or chemicals into the home. Natural stone is a formidable creation that excites me with its coloring and grain. The uniqueness of each stone gives homeowners the security of knowing that wherever they use it, no other home will have the same exact look. Natural stone not only creates individuality and a rich beauty to a home, but adds great value. It’s an investment that will last for years to come. Granite. This durable, versatile stone is mesmerizing with its multitude of small mineral flecks and endless variations. Granite is resistant to heat, stains, and it’s not susceptible to scratches. These are a few reasons why homeowners and builders choose granite over other natural stone options. Quartzite. A common stone for countertops, quartzite is becoming a big stone contender for 2015 and moving ahead of last year’s favorite, quartz, a manmade product. In its purest form, its elements are light in color and range from grey to pearl white. I love its uncanny resemblance to marble without the drawbacks of being susceptible to etching and staining. Marble. A classic, marble has extraordinary patterns and stunning colors. When polished, it’s extremely lustrous, smooth and dramatic. A slight glowing quality will arise when this natural stone is placed under the right light. When sculptures are carved from marble, the stone takes on a translucent quality. Marble is very sensitive to acidic chemicals, such as vinegar, tomatoes, wine and many cleaning products. Travertine. This beautiful stone has become a popular building material because of its durability and versatility. Its aesthetic value holds true, which makes it a beautiful option for any area of your home. Travertine can be porous, so we don’t place it where there are high levels of oil that may soak into it. Limestone. When we want an earthier, more natural look, we turn to limestone. Popular uses for limestone include flooring, interior and exterior wall cladding, backsplashes and fireplaces. You must be careful with the placement of this stone as it can scratch easily and, like marble, is very sensitive to acids. Marble is a limestone, but limestone is not a marble.